What Types of Holiday Flowers Are Best? At holiday time, many of us spend a lot of time, money, and effort, to clean and decorate our house. We throw parties, go to family get-togethers, and enjoy each other’s decorations. Of course, one of the main features of the holiday decoration is an evergreen tree – usually called a Christmas tree. Evergreen foliage stands for rebirth and is a very traditional symbol. Christmas occurs during the darkest months of the year in the northern hemisphere with some of the shortest days, but once Christmas day has arrived, the days soon begin to get longer again. As the only greenery around over winter, evergreen became a symbol of the ever-renewing cycle of rebirth and regeneration. Many flower decorating options exist for holiday decor around the house. Christmas themed floral decor brings brightness and color to your holiday decor. While most people opt for the vibrant colors of the poinsettia flower for their holiday decor, there are many flowers available to consider as possible choices for your holiday decorations. You can easily find local florists who sell beautiful holiday flowers in all different arrangement sizes. Just picture a lovely centerpiece of red roses and white lilies paired with some holiday greenery and baby’s breath on your Christmas dinner table. You may also find that some florists embellish their arrangements with fun and whimsical items like silver bells, ribbons, and ornaments for extra holiday cheer. 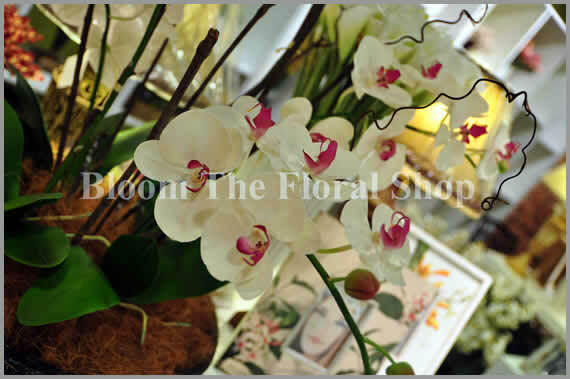 Christmas flowers are also a wonderful gift for someone who is having a party. Instead of digging a bottle of wine out of your cellar, you could stop and buy a beautiful flower arrangement to add to the decorations. What is a finer gift than a fresh bunch of living flowers? Elegant calla lilies, spirited daisies, colorful carnations, and delicate tulips are all good Christmas flowers that are options for a Christmas bouquet. This gift will bring cheer and color into the home of your friends, and all the guests will be able to enjoy it. If you’re looking to buy flowers, you can find them at local florists, supermarkets, and even from street vendors. Ordering flowers from your local florist in advance may result in a discount. You should also ask your florists about Christmas flowers. This entry was posted in Celebrations and tagged history.